Before using any of this tricks, please test olive oil on a small part of your skin in order to prevent any unexpected allergic reaction. 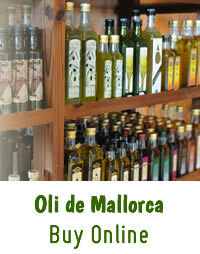 Extra virgin olive oil from Mallorca could be considered one of the best beauty secrets. It’s a natural way to moisturize skin and a source of Vitamins A and E that help repair and renew skin. 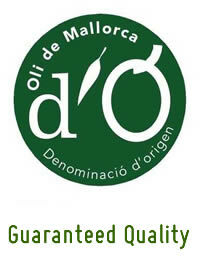 Extra Virgin Olive Oil from Mallorca it could be considered as a natural body and face moisturizer. Olive oil helps to keep skin hydrated and soft and provides a long lasting protection. To have a fresh feeling, it’s recommended to add a little lemon juice. Mix olive oil and sea salt, rub the affected area to slough off dead skin and improve the new skin beneath it. Relax having a bath with some tablespoons of olive oil and mix it with some other aromatic oil. It will help smoothing and moisturizing the whole body. It is the perfect solution for dry nails and cuticles. Rub some drops into the cuticle area. They will be moisturized and nails will get brighter. Olive oil could help to improve the aspect of the skin around the eyes and smooth out wrinkles, just apply it softly on the eye area with a cotton pad, taking care of no irritate that delicate area. Might consider olive oil as a deep conditioner and a dandruff controller. 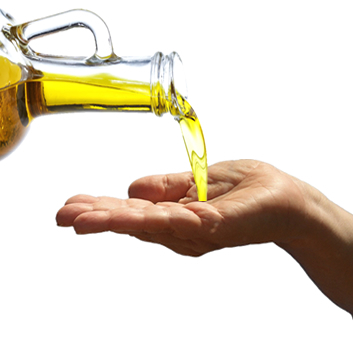 After shampooing, apply a mixture of equal amounts of olive oil and water into your hair. Leave on for 5 minutes, then shampoo and rinse. Your scalp will benefit from healthy conditioning; your hair might become shiny and strongest.